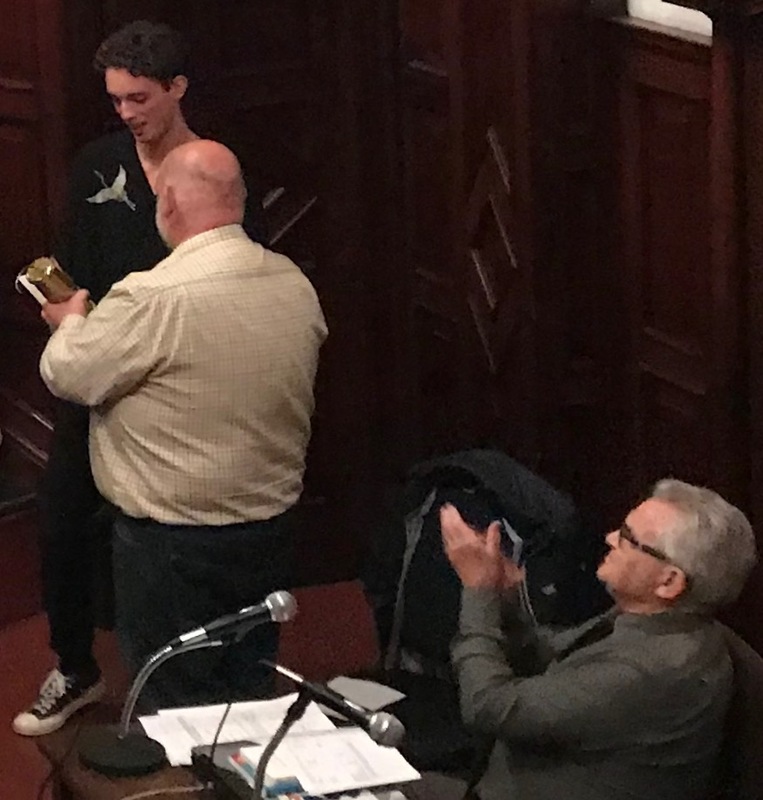 Joel Wootten, whose essay on Chartism in Gateshead won this year’s Sid Chaplin Prize was presented with the trophy by Grahame Chaplin, Sid’s grandson at this year’s NELH Annual General Meeting. There are a number of important works on Chartism in the North East. However, these studies have focused almost exclusively on Newcastle and as a result, the significance of the movement in Gateshead is downplayed. Those works that do mention Gateshead only refer to it in passing as a useful anecdote of ‘physical force’ Chartism. Joel’s dissertation seeks to redress this significant gap in North-East labour studies. Despite previous assumptions that Gateshead Chartism was inherently weak, what we find on closer inspection is that the strength of the town’s movement matched and occasionally surpassed that of its neighbours. This is evident when we look at Gateshead’s activity during the movement’s ‘doldrum years’. More details of Joel’s work and Grahame’s speech are here. This entry was posted in Uncategorized on 21/10/2018 by Peter Nicklin.